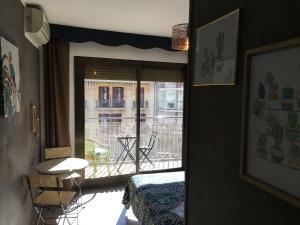 Located in the L’Eixample district of Barcelona, 10 minutes’ walk from Plaza Catalunya and 15 minutes’ walk from Plaza España, Hostal 56 features free Wi-Fi available in all areas. Each room has a double bed. Some rooms come with private bathrooms and some have access to a shared bathroom with a shower, bidet and hairdryer. 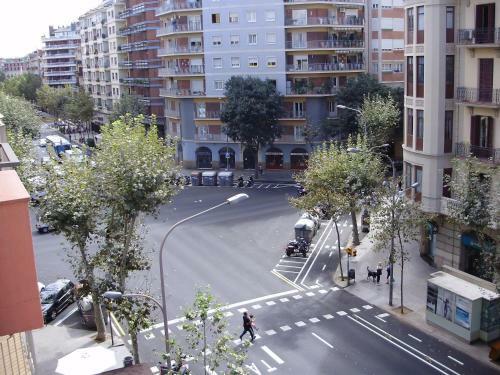 Urgell Metro Station is 1-minute walk from the property and the bus stop to Barcelona El-Prat Airport is 30 metres away. As the hostel does not have a 24-hour reception, please let the property know your expected arrival time in advance. You can use the Special Requests box when booking or contact the property using the contact details found on your booking confirmation. Please note that check-in after 23:00 carries a surcharge of € 20. For guests who arrive by car, the property offers a discounted price of € 10 for the car park located 300 metres away. Guests are required to show a photo identification and credit card upon check-in. Please note that all Special Requests are subject to availability and additional charges may apply. Please inform Hostal 56 in advance of your expected arrival time. You can use the Special Requests box when booking, or contact the property directly with the contact details provided in your confirmation. 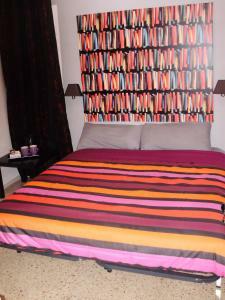 This room has a double bed and access to shared bathroom facilities including a shower, hairdryer and bidet. Rate: € 40.00 ... € 88.00; select dates below to get current rates. Rate: € 85.00 ... € 88.00; select dates below to get current rates.